My brother’s new cat sent me a picture message. 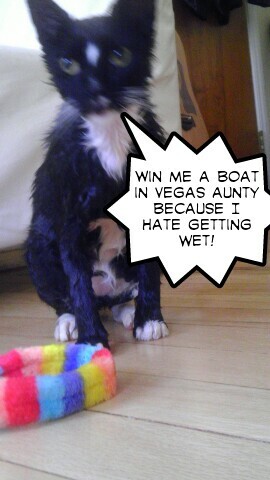 Unfortunately for him (and me, I suppose) I didn’t win a boat. Or any money. Rats. This is probably the most important post ever.